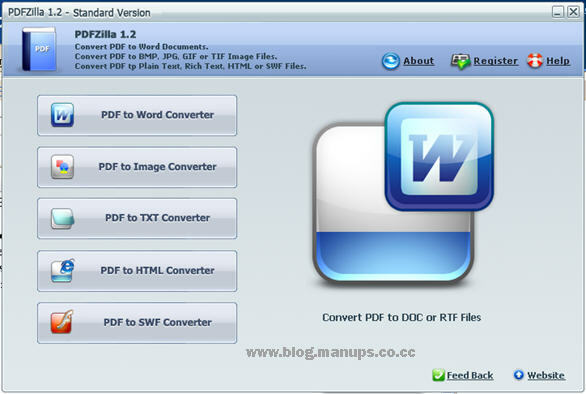 PDFZilla is a desktop application program that can convert Adobe Acrobat PDF files into editable Microsoft Word documents, rich text documents, plain text files, images, HTML files, and Shockwave Flash files. Without the expansive Adobe Acrobat software suit, normally PDF document cannot be edited. By converting PDF file to editable file format, the document can be edited, changed and modified. NOTE: This PDFZilla Time-limited Giveaway Promotion will be CLOSED on Feb 5th, 2011.